100 years after Dorothy clicked her ruby red slippers to leave the magical land of Oz, Victoria (Ashleigh Ball), a young engineer who is busy keeping the Emerald City gears moving, is suddenly whisked away by a pack of flying monkeys to meet Locasta, the mysterious Queen of the North (Hough). Victoria learns the Emerald Forest and all its inhabitants are in great danger because the Tin Man (Mathew Anderson) has once again lost his heart and in a passionate quest to save his love, he has pushed the forest towards destruction by industry and mechanization. When Victoria joins forces with the not so cowardly lion (Perlman) and Scarecrow (Geoff Gustafson), and some industrious munchkins, they encounter Oscar (Shatner). He reminds them that the Tin Man once had a heart so they set out on a quest to help find the Tin man’s heart and along their journey they learn that friendship and determination can overcome any obstacle and together end up teaching everyone in Oz that a heart should not be judged by how much you love but by how much you are loved by others. 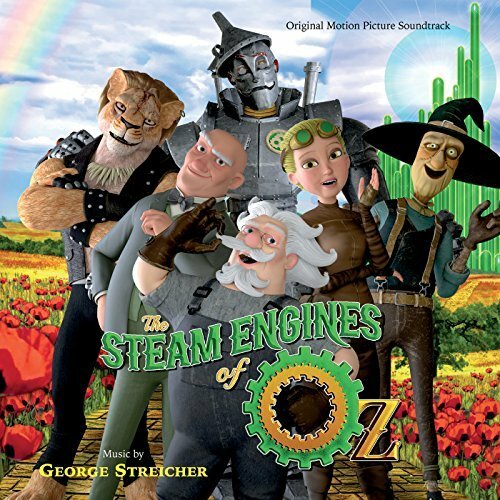 The movie soundtrack of The Steam Engines of Oz will be released on June 1, 2018 by Varese Sarabande.